But where can you turn for personalized cosmetic dentistry that will reveal a look that suits you best? Our patients know it’s Dr. Sandi L. Hamm. She was recently named by Living Magazine as the #1 cosmetic dentist in Mansfield! It’s a true honor and distinction to be named the best, and Dr. Hamm and her team are so pleased to be known as a local leader in cosmetic dentistry. Dr. Hamm completed her Doctor of Dental Surgery from the Baylor College of Dentistry, and she has been providing superior dental services for families and individuals for over two decades now. Dr. Hamm stays abreast of the latest advances in dentistry through her active engagement in a number of professional organizations, including the American Dental Association, the Texas Dental Association, and the Dallas County Dental Association. This is Dr. Hamm’s first year to receive the award from Living Magazine, and she is pleased to be able to share the news with current and prospective patients — like you! Cosmetic dentistry has boomed in popularity over the past decade or so. It’s now more accessible than ever, with more and more dentists adding cosmetic treatments to their services. While the area booms, it’s important that you make sure you’re visiting a qualified, experienced cosmetic dentist — like Dr. Hamm. 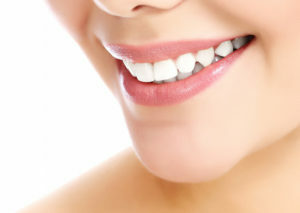 Anyone who is in generally good oral and overall health who is not completely satisfied with the appearance of their smile can probably benefit from cosmetic dentistry. Single treatments like porcelain veneers in Mansfield can remove stains and even out misalignments, or a full smile makeover can provide a comprehensive solution to teeth and gums that need a real overhaul. Dr. Hamm offers a number of services for revealing flawless smiles. We’ve listed them below — which one(s) could be best for you? When you come in for a cosmetic consultation, you and Dr. Hamm will thoroughly discuss your smile. She’ll ask you questions like, how did your teeth get to be the way they are today? What would you like to achieve with cosmetic dentistry? Then you’ll discuss your oral health history, your budget, and any concerns you may have. In the end, Dr. Hamm will consider all this information to put together a treatment plan for revealing your very best, most naturally beautiful smile! Visit the #1 Cosmetic Dentist This Month! Are you interested in finding out how cosmetic dentistry can help your smile? Our patients and readers of Living Magazine agree Dr. Hamm is the person to trust. We invite you to contact us to schedule an appointment today!